Here’s the second legend class branded under the Thrilling 30 line. 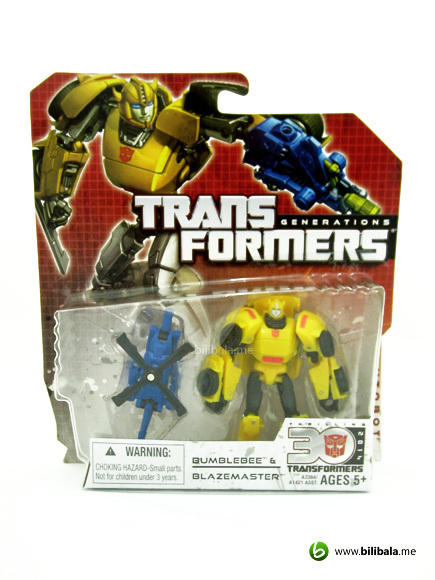 It isn’t hard to guess that they have released Bumblebee to be the second considering him as an overly attraction to younger fan. 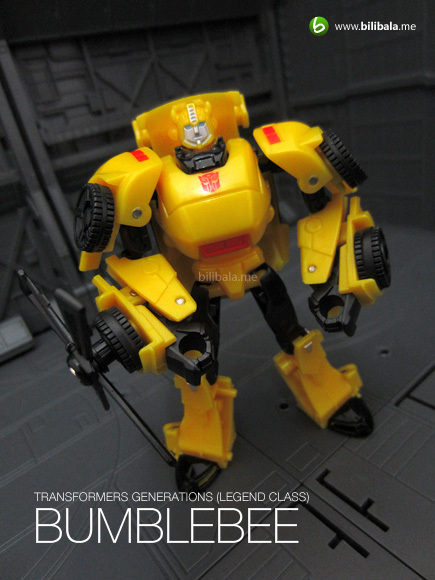 Again, similar to the earlier Optimus Prime legend class, the class name doesn’t really suggest them being one. This is a much more improved, complicated and increased play-ability legends. Read more after the jump. Similar to OP’s packaging which is bigger in size as compared to the “traditional” legend classes. 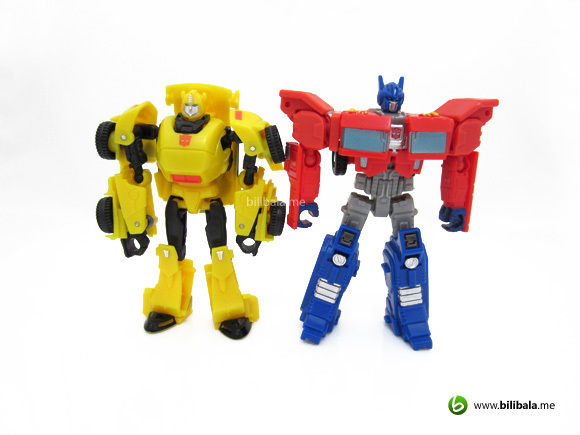 A lot of you might know that these legend class now comes with 2 figures instead of one. 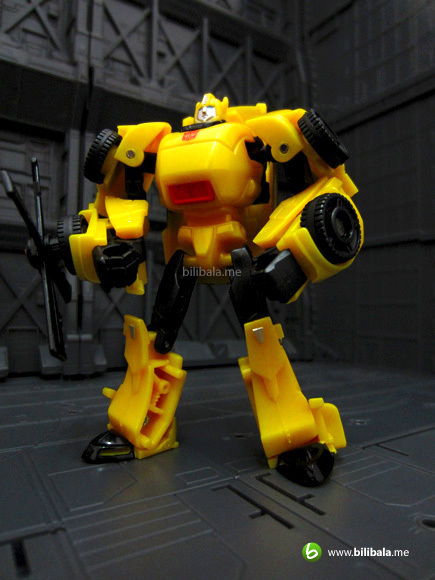 The extra figure apart from the main character is where all the gimmick about. 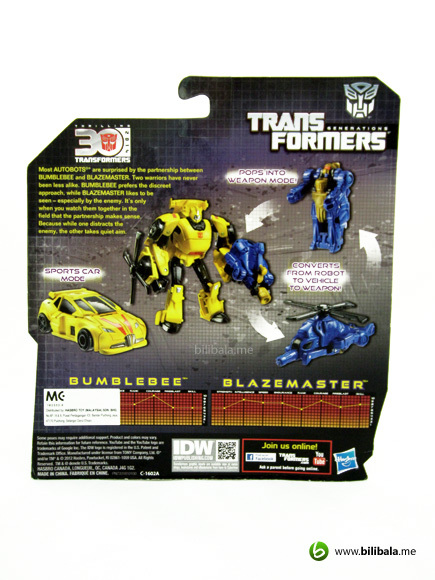 For Bumblebee, he will have Blazemaster as his sidekick. 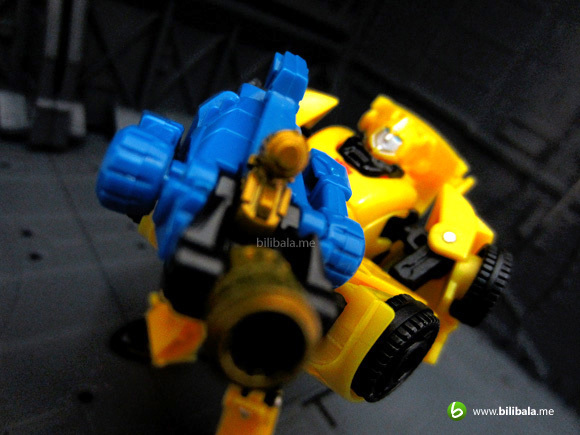 Don’t underestimate the accompanying sidekick, he is a triple changer. The back of the package shows how he actually is one. 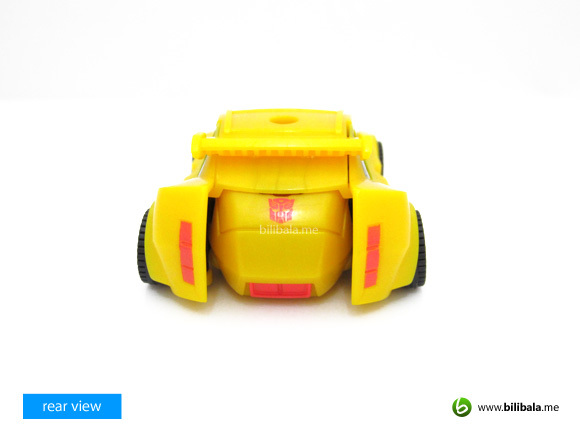 First impression: the plastic quality isn’t as good as expected. 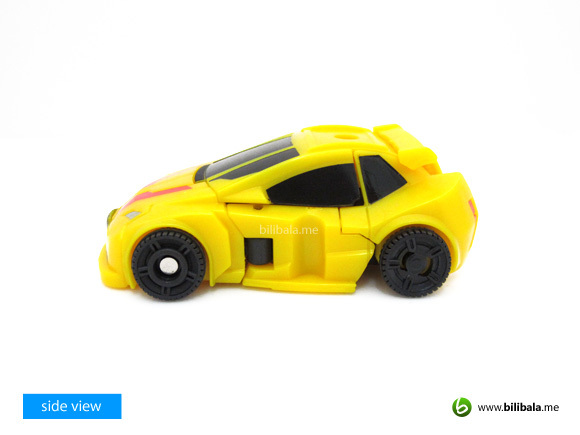 Basically they are using the similar yellow plastic which has been used in smaller and cheaper class like cyberverse legion Prime Bumblebee. They are light and shiny in nature. Well, couldn’t expect much from it as it is still somehow a legend class. 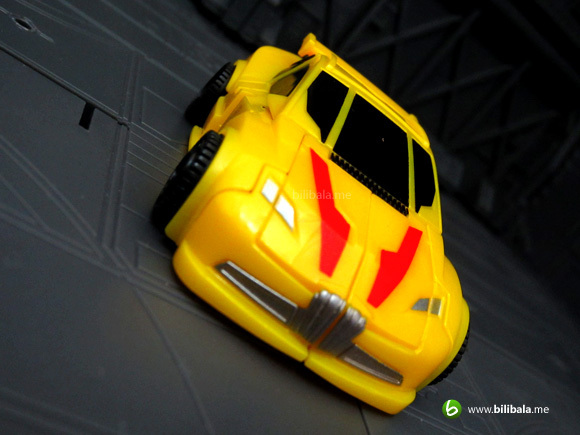 Anyhow, the alt mode comes in minimal paint application. The only paints you will see are the red stripes, the metallic silver headlights & front bumper and the entirely black tinted car screens. 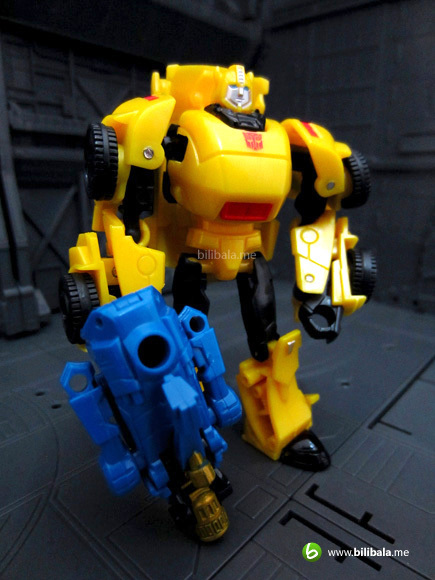 Overall, we are not too sure which design of IDW is being based on. But in all, we are not entirely impressed with the futuristic sport vehicle form. 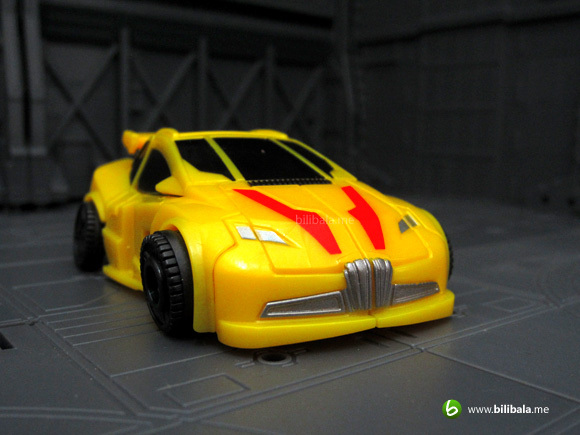 The front bumper does look weird and not to mention, the overall color scheme just reminds us of being a Pokemon car. 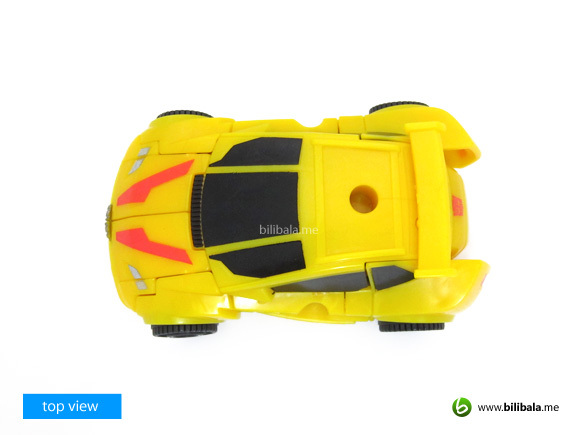 If you notice that they are actually using different treatment for the front and rear wheel design. 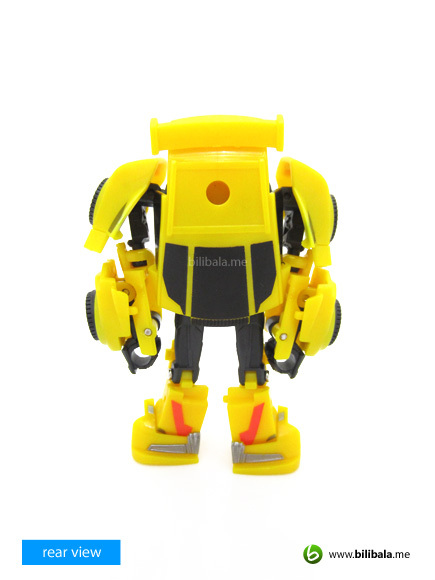 The rear wheel has a enclosure which covers the “metal connector” part as compared to the front. Somehow it is quite awkward as to why not enclose both of them? 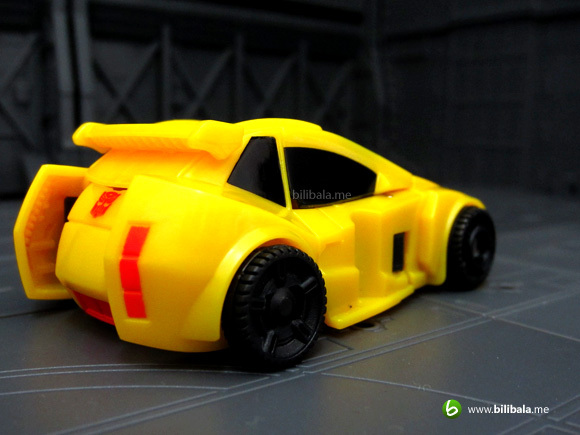 A bit more paint application here: the taillights, rear bumper and the Autobot insignia. It somehow resembles the rear of the most recent Volkswagon Beetle. 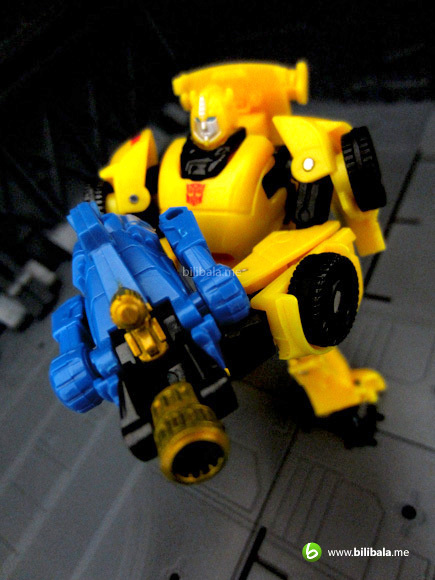 Now off to robot mode. 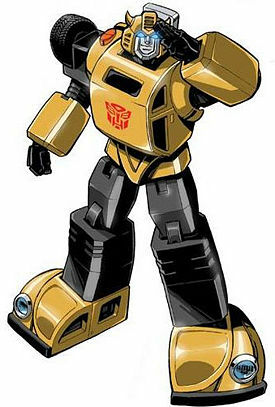 A reminiscence of G1 design we must say. He actually looks nice with a nicely sculpted headpiece along with several limited articulations. Pretty slim from the side. Seriously, beside the round torso design, the rests are more polygonal crafted. A closer view on the torso and headpiece section. We are impressed with how much effort they have put into sculpting and painting the head. The size of the head is just a mere 0.5cm and yet you can see his detailed metallic silver painted facial expression. 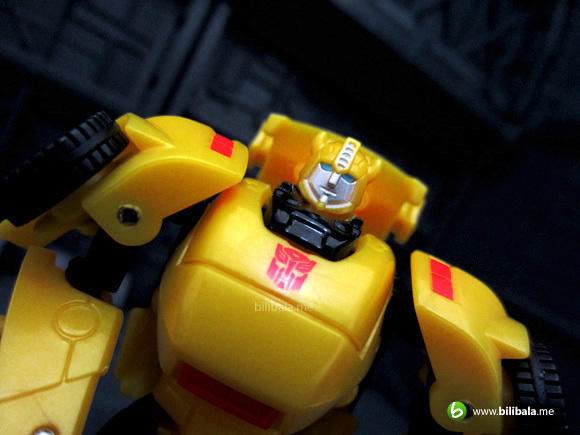 The head sculpt is definitely a closer resemblance of G1 and it does play well. 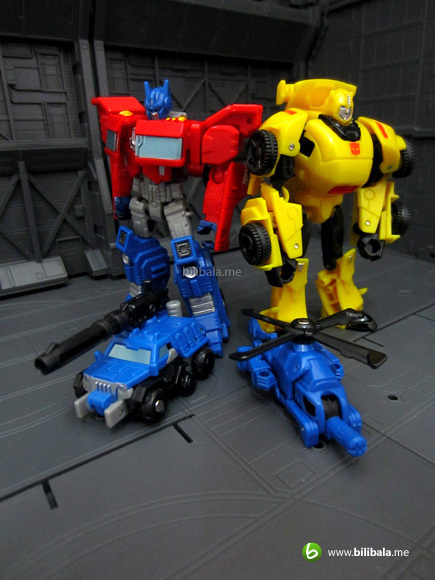 The same Autobot insignia can now be seen clearly on the chest section. 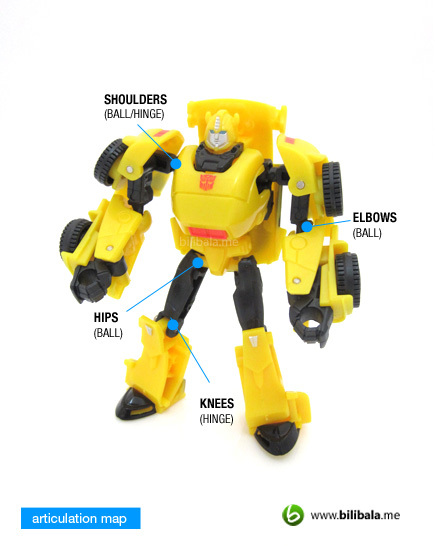 The Bumblebee comes with arrays of ball joints. However, we are quite annoyed with the absent of a joint for the headpiece. It make him less pose-ability. Try imagining every pose with the head looking to the front, petty awkward. 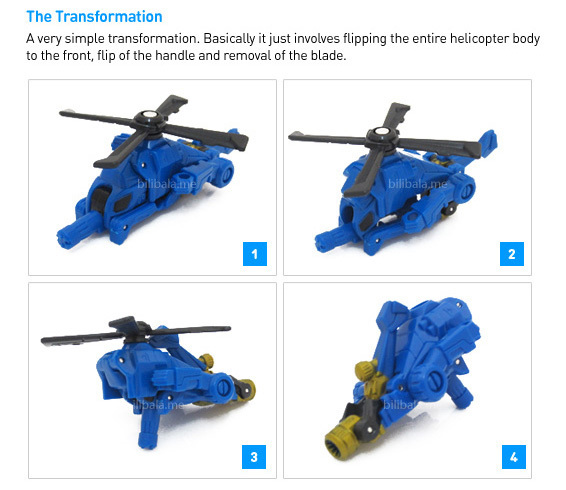 Transformation is quite simple, but not as simple as those older legend class. This is possibly the main area of improvement which raises the bar for legend class. 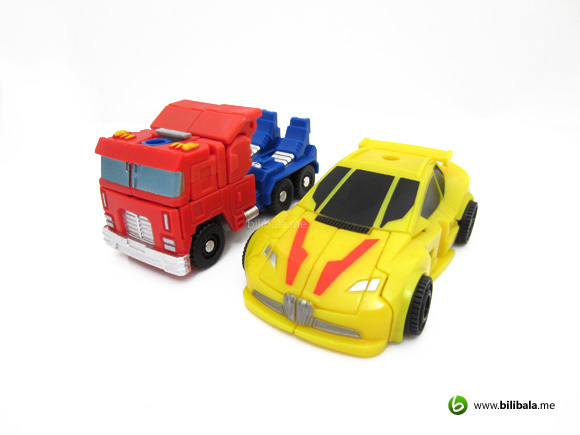 Another area which we are not really impressed with is the size comparison with Optimus Prime. 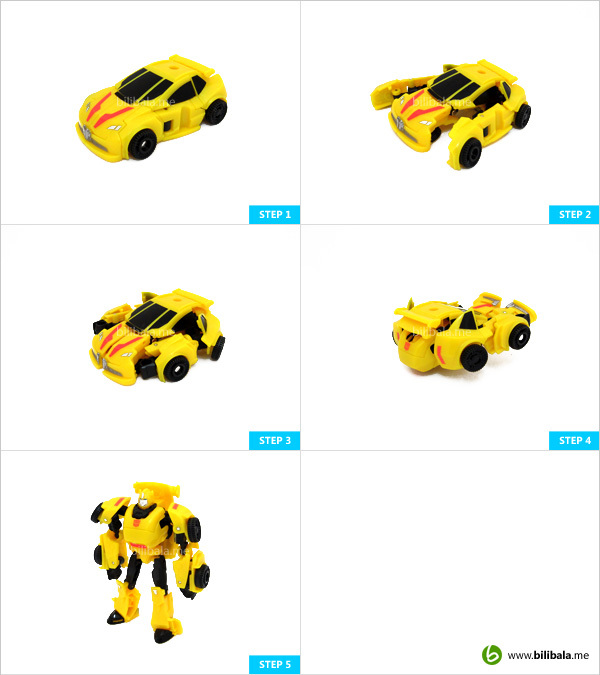 Apparently, the size of the Bee is as big as the truck in alt mode. 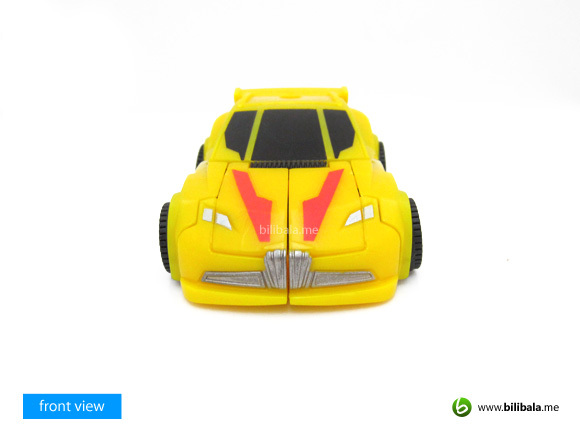 Compared to the bigger size of Bumblebee from the Prime series. Well, as expected, the size of him is almost as big and tall as his leader. We would say it isn’t really proportionately well done! 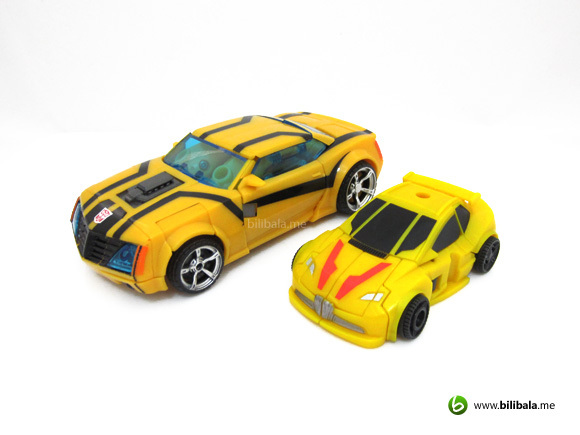 Comparing to the deluxe Bee in robot mode. 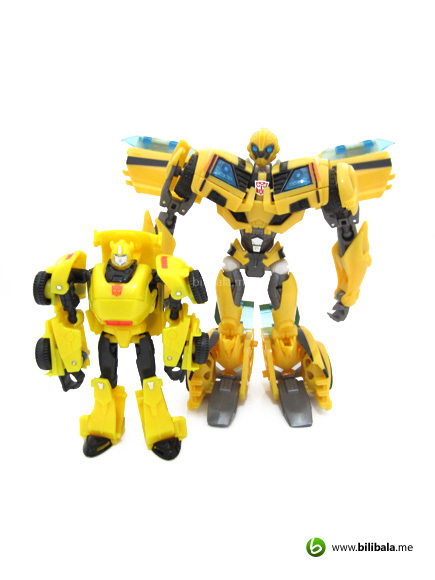 The plastic of Bee is definitely more shinier here. 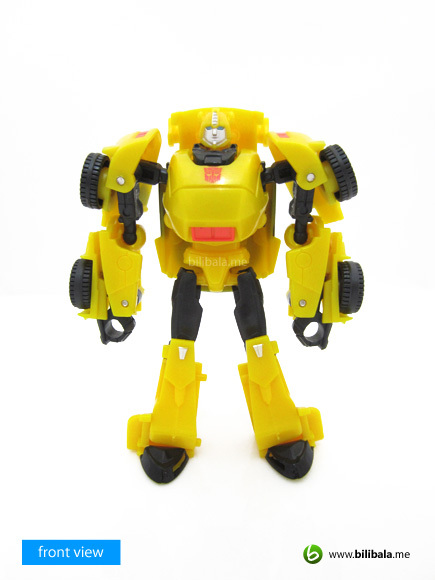 Overall not an impressive figure which scored lower marks in articulation, plastic built, proportion and design. 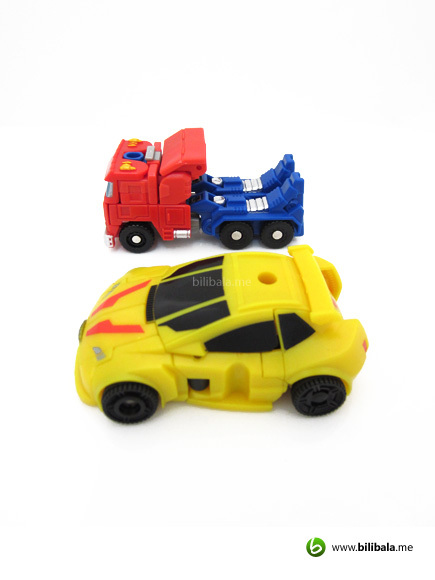 Personally, we would have skip this if it is not bundled with Optimus Prime for a special price. But then again, things are very subjective and different people might have different view on him. Just drop your comment if you think he deserve a better review score! 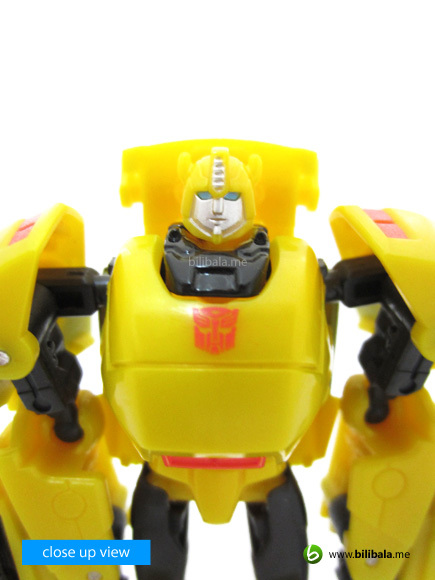 What I like – G1 like head sculpt. 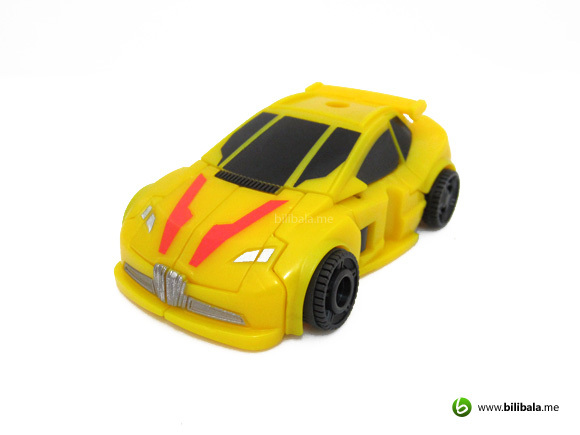 What I dislike?– Light plastic; no head joint lessen pose-ability; proportionately disgusted; design of alt mode not so attractive.